In an effort to increase satellite production, ISRO has signed contracts with private companies to produce 27 spacecraft by 2021, The Hindu reports. On Wednesday in Bengaluru, its nodal satellites division URSC (U.R. 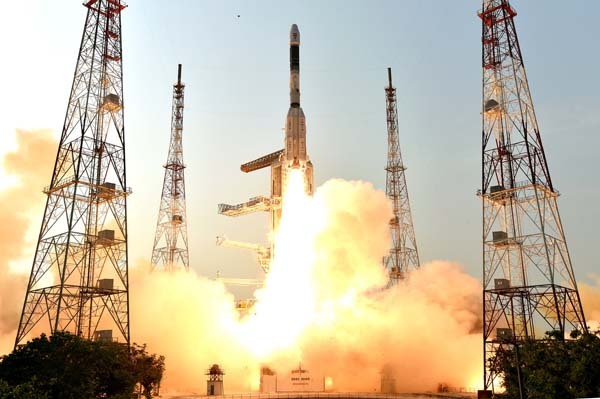 Rao Satellite Centre) signed separate three-year contracts with Alpha Design Technologies P Ltd and its six consortium members; with defence public enterprise Bharat Electronics Ltd; and with Tata Advanced Systems Ltd, Hyderabad. Each partner will work with the URSC to produce three small to medium satellites each year, or a total of 27 spacecraft by July 2021, it is learnt. About 50 members from each partner will separately work with URSC engineers to complete the project. The Alpha-plus consortium includes small and medium-sized companies such as Newtech, Aidin, Aniara Communications, DCX, Vinyas and Exseed Space, according to Alpha CMD Col. H.S.Shankar. All but the last member were already involved in building two 1,400-kg navigation satellites IRNSS-1H and 1I for ISRO last year.